The sustainable urban places created by entelechy are planned, designed, and developed using an approach that balances environment, transport, use, economic, and social considerations. entelechy's owner, Deana Swetlik, approaches each project with creativity and vision delicately balanced with the pragmatic and realistic. Each and every site has intrinsic characteristics that must be considered, whether its setting in context or natural assets. entelechy discovers and capitalizes on this inner nature of the locale. 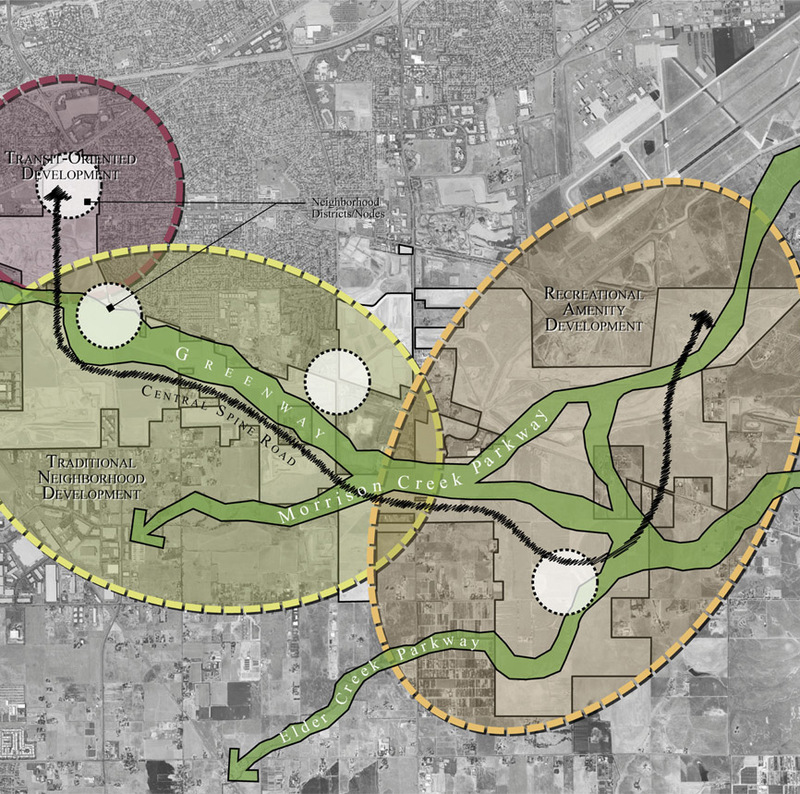 Multi-modal transport considerations are integral to the planning phases of a project. entelechy composes the appropriate transport system components for each project to create livable places. A project's proposed land uses and its economic viability are intrinsically tied. entelechy is cognizant of macro-economic trends as well as regional and sub-market data that will influence a project. This information will help guide the ultimate development program for the project that results in an implementable plan, design, and development - the place as desired or imagined. The project is bigger than the site. How does the project affect an individual life? How does it add to the complexity and interest of its surrounding environment? How does it engender civic responsibility? How are diverse generational and social needs met? entelechy considers these social aspects knowing that such considerations will provide the platform for a new inner nature of interpersonal connections and of experiencing the place. entelechy thinks both horizontally and vertically in terms of the stakeholders involved with a project. Horizontally, this involves neighbors, adjacent property owners, and/or development partners. Vertically, this involves different government agencies, civic leaders, departments within an agency, as well as the various agency staff and consultant team involved with a project. entelechy understands the different communication techniques necessary for each stakeholder involved with a project and is comfortable representing the project in both public and board room meetings. This understanding of the players and the best approach to communicating with each is critical to successful approvals and implementation of a project. entelechy can bring your visions to reality. © 2008-2016 entelechy, all rights reserved.